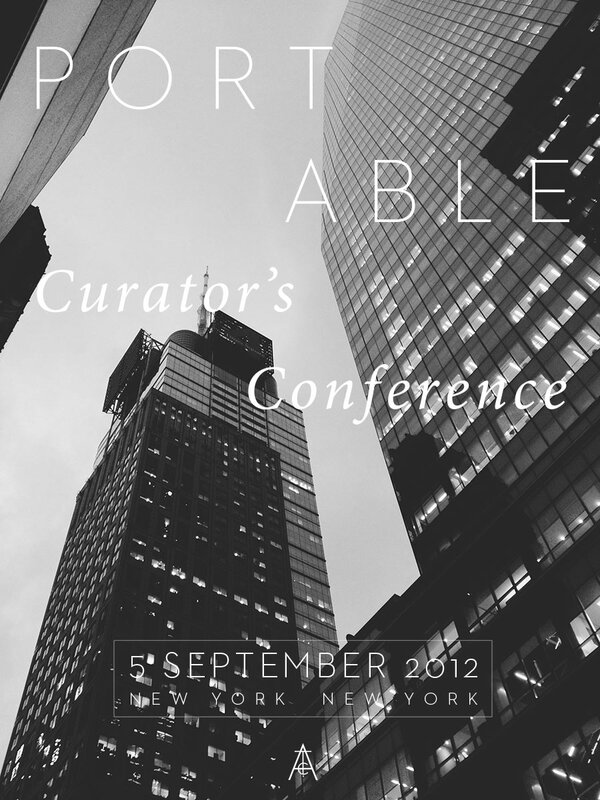 Last week I had the pleasure of attending the Curator’s Conference, hosted by the agency Portable, just in time to kick off Fashion Week in NYC. 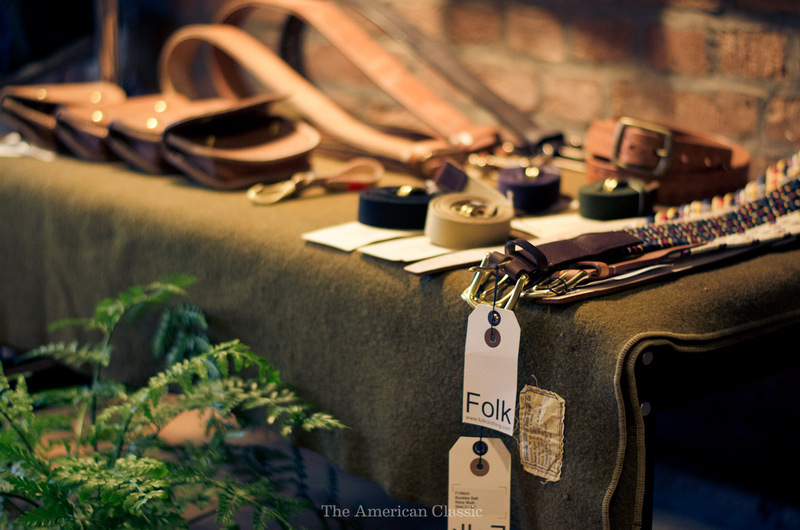 The conference hosted a number of speakers from the film, fashion, and travel industries. Some of the speakers, Josh Rubin of Cool Hunting and Chris Corrado of Capsule, offer curated content and experiences and spoke about a holistic view of the curated experience. From a slightly different viewpoint, filmmaker Gia Coppola and director Warren Fu broached the topic of curation from the sense of the selection and organization of a series of images in time. Hit the jump for the writeup and more photos. 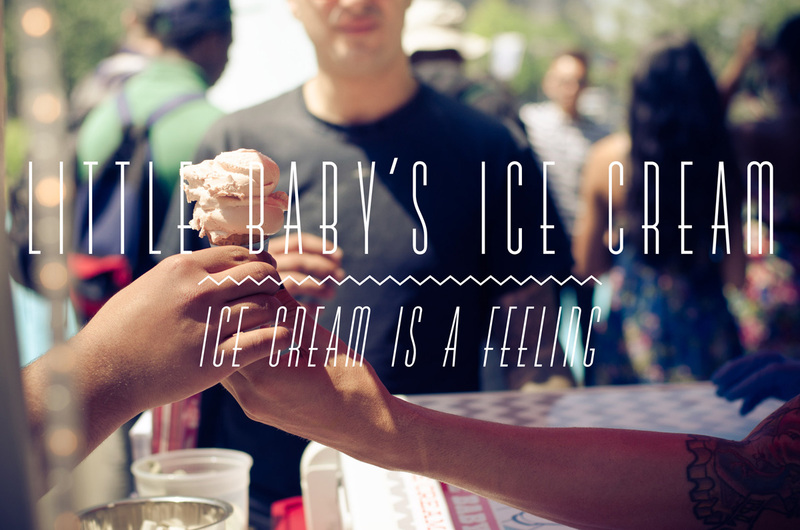 If you’ve been in Philadelphia for almost any kind of event this summer, chances are you’ve heard of Little Baby’s Ice Cream. If you haven’t, but you’ve been online in the last few days, I can guarantee that someone has shown you their latest commercial, which pulled in half a million views since it was posted this week. That’s a third of the population of the City of Brotherly Love, where Pete Angevine, Jeffrey Ziga, and Martin Brown get awesome and make ice cream an experience like no other. 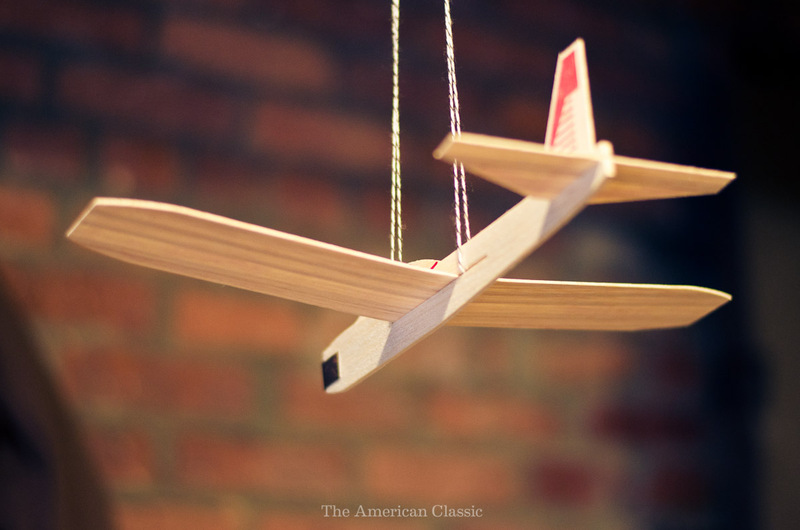 Click below for more photos and the interview. 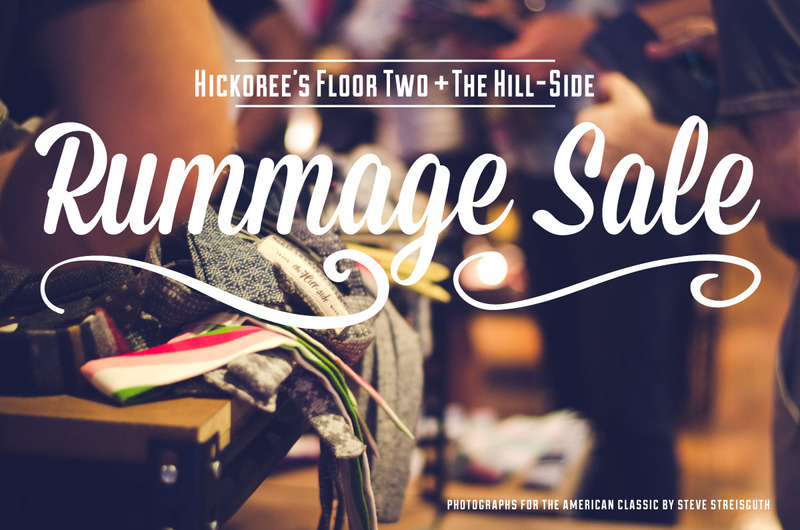 This past weekend I was enormously fortunate to be able to be in Brooklyn, NYC for The Hill-Side’s Rummage Sale at Hickoree’s Hard Goods. 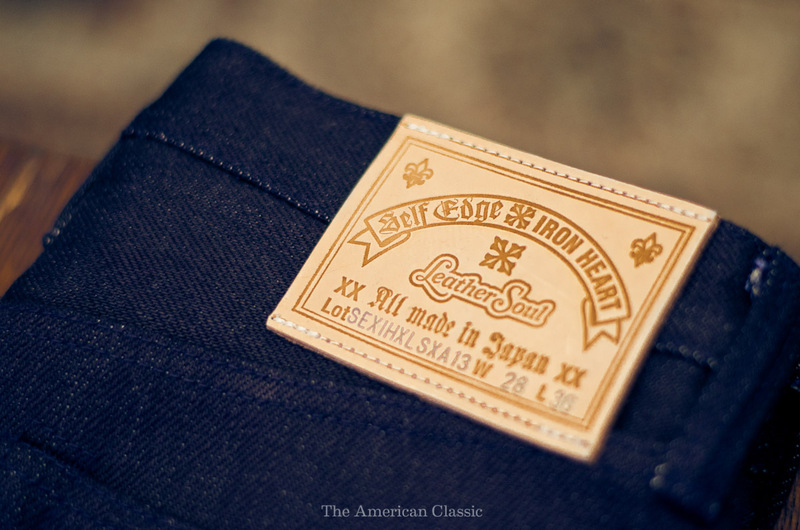 For those of you that missed it, the sale is on top of their already insane Summer Sale, and included factory seconds, press samples, prototypes, and other kinds of amazing rare business for comparatively next to nothing. 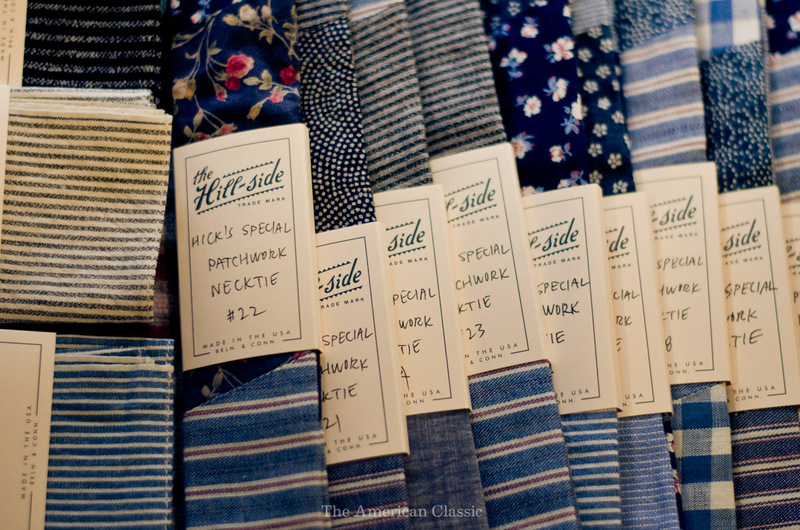 Ties and scarves were $20 apiece, handkerchiefs and pocket squares were $10. I think I was there at 5:01 and there was already a line to the end of the block. 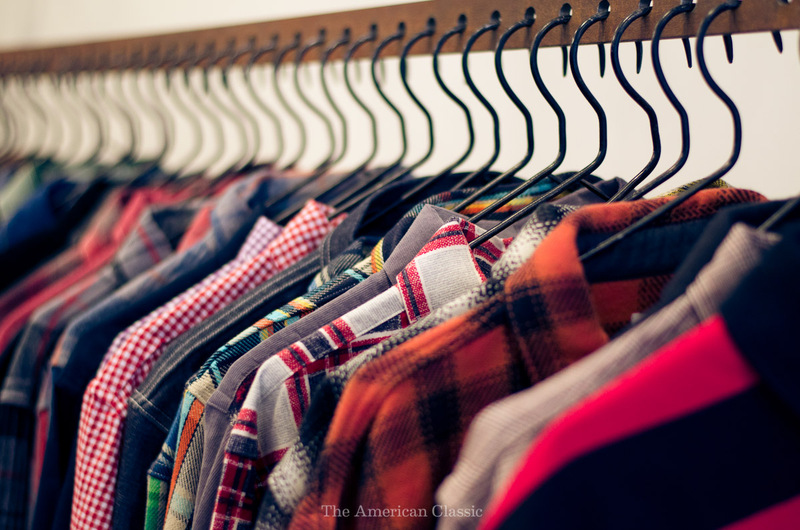 It was Black Friday the 13th madness as soon as the doors opened: ties flying back and forth, the metallic clack of clothes hangers sliding on every side of you, the envy of seeing the next guy in line with the perfect pocket square! 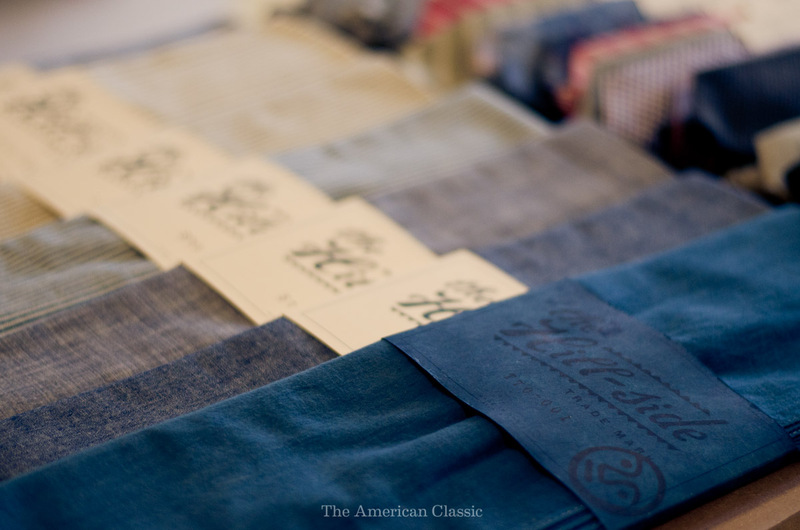 Right as you get to the register, another box of ties comes out and everything reshuffles as you spy that perfect selvedge chambray from across the room. Despite the heat, nobody even touched the beer for at least half an hour. That’s focus. Hammarhead Industries just released the newest addition to their line of soft goods, the HHI Day Pack. 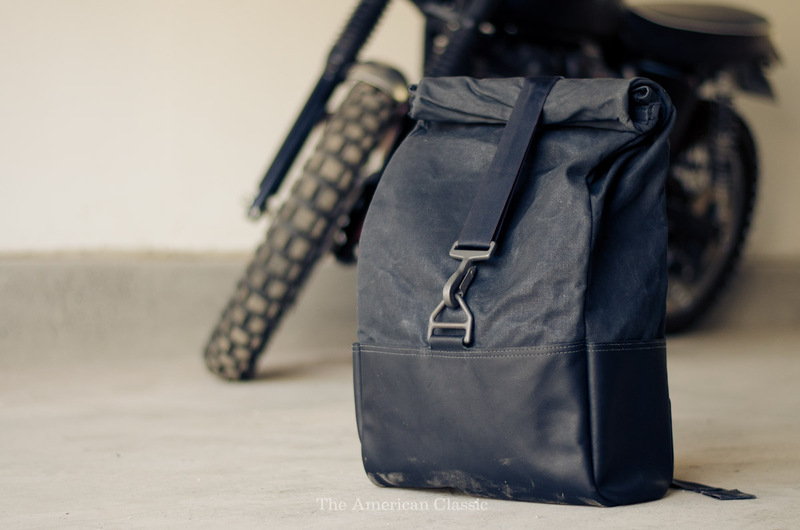 Built at the request of a Jack Pine (modified Triumph Scrambler) customer, this bomb-proof bag is made out of the toughest materials available and paired down to the absolute (modern) necessities. 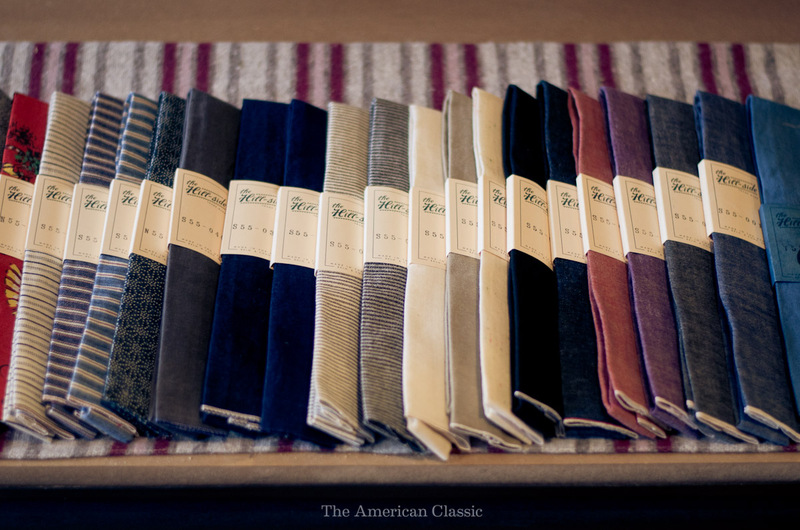 15″ laptop sleeve, iPad sleeve, Kindle & passport sleeve. No key-ring, no ice-axe loops, and no headphone port for your discman. But how big is it, you ask? The HHI Day Pack is specifically designed to hold an entire bag of groceries standing up. The steaks and beer you will carry in it are kept safe from the elements by boot leather stitched onto 15oz Martexin Waxed Duck Canvas. The straps are the same that hold you into a racing harness, and the buckles are designed to attach you to a parachute. Oh yea, and it only comes in black. 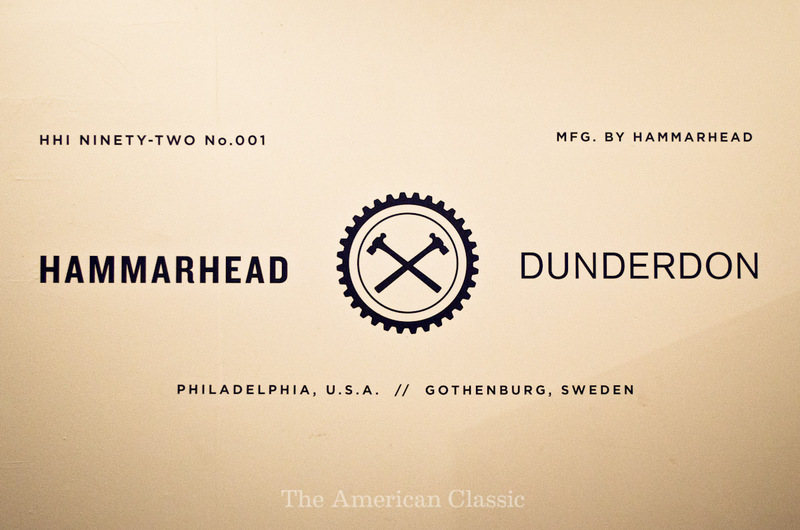 Matt Trigaux, Creative Director for Hammarhead Industries, invited The American Classic down for some photos and his first exclusive interview. 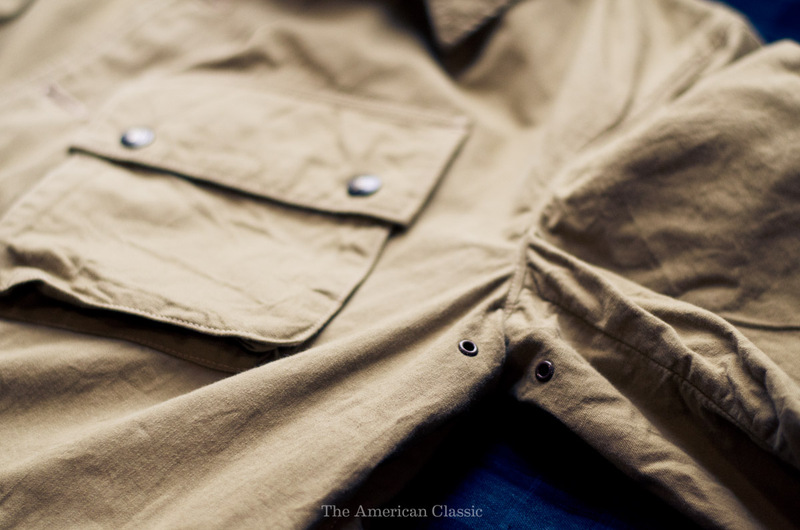 Afterward, we chased Mason around Philadelphia on a Jack Pine to show you just how nicely this thing carries your daily necessities, be it steaks & beer, cameras & clothes, or gasoline & croissants. 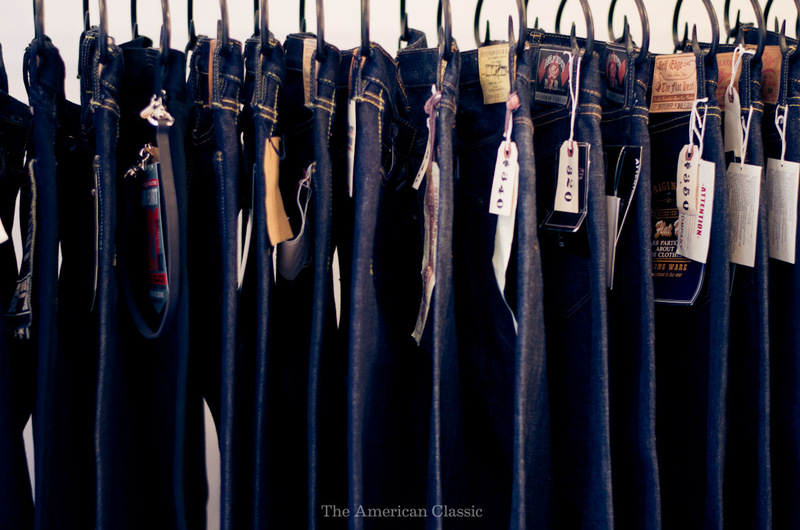 This past Friday I took a trip to NYC to drop off a pair of jeans to Andrew Chen of Self Edge (sidenote: thanks again for sending them down for the Natural Process show!) 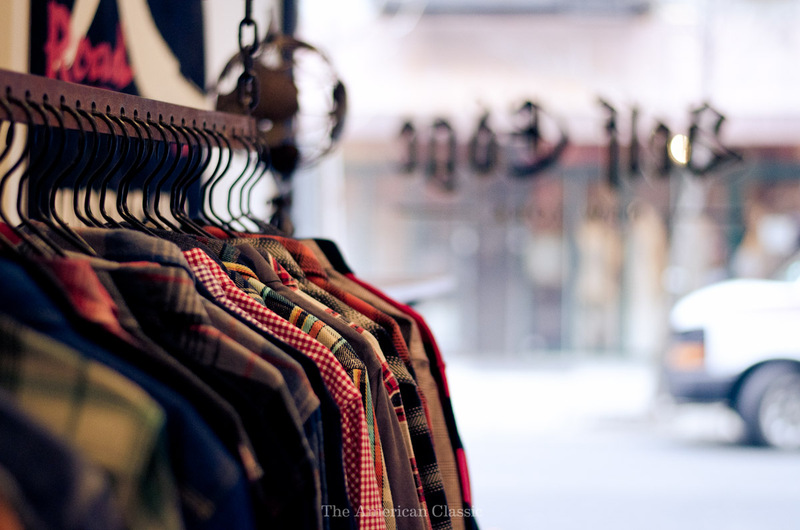 and finally get a chance to check out the shop. I arrived a bit earlier than when they opened, but since he’s a nice guy he let me in anyway to talk about the show and about the shop. 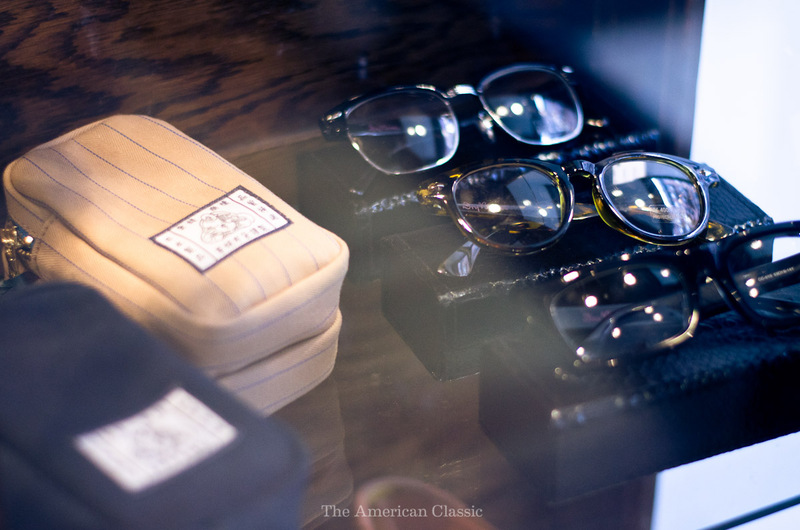 The space itself is relatively small (which means it’s average Manhattan 1st floor size), and they also have two other shops in LA and San Francisco. 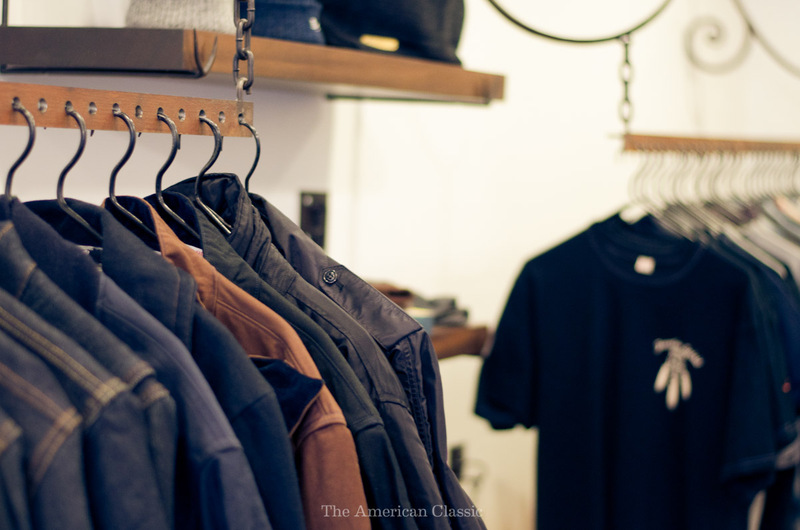 The details of the shop are what really sets it apart, from the furniture (all hardwood and metal) to the fixtures (custom wrought iron hangers). 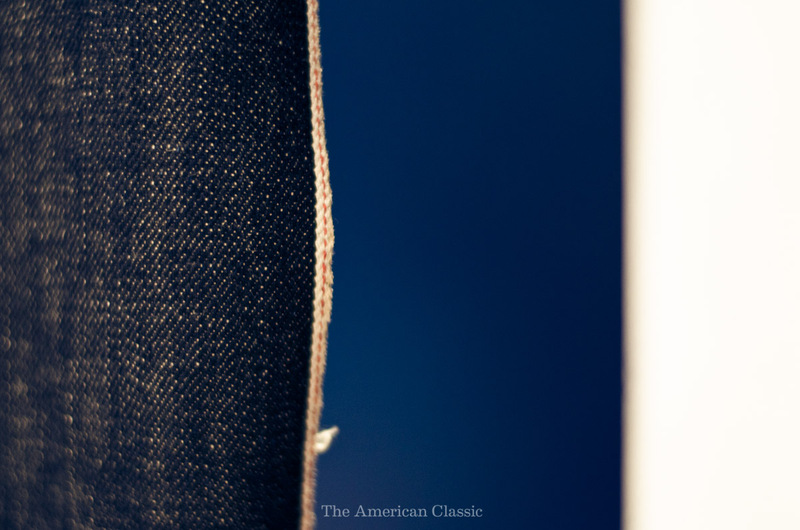 The curtain for the fitting room is even one single piece of selvedge denim. 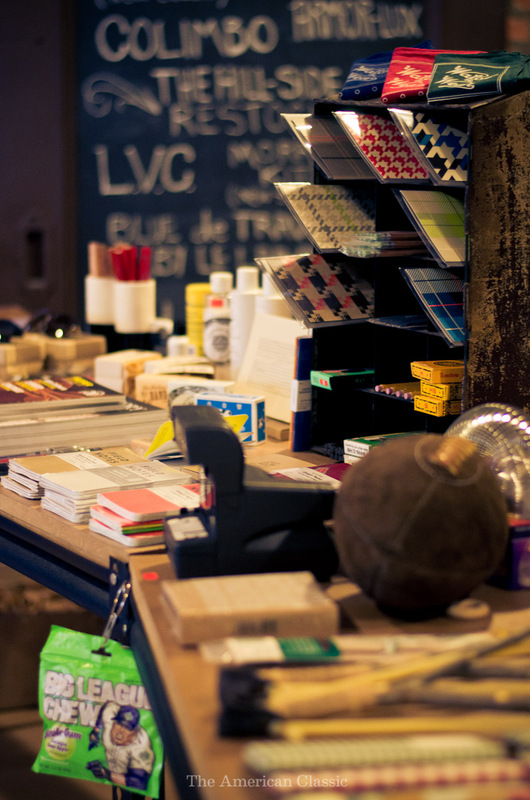 These details were perfect but since I only had my 50mm prime with me and try as I might could not get a full shot of the shop. 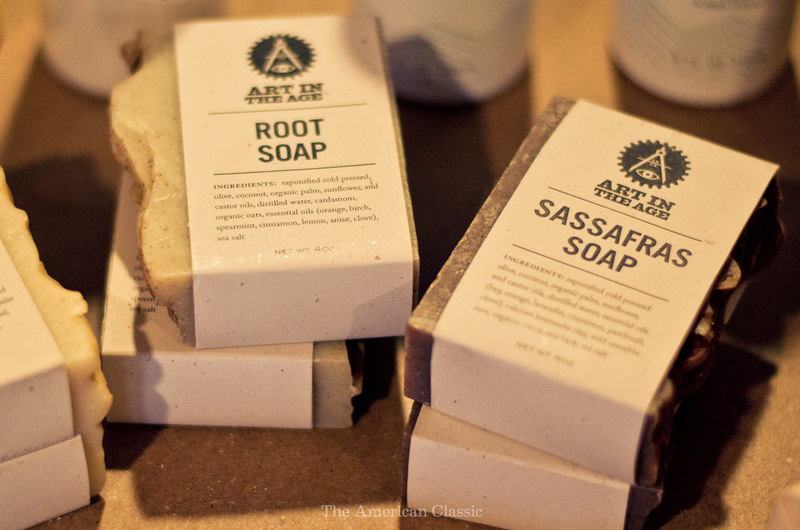 Andrew graciously sent us one of these wood blocks for the Natural Process show which I, understandably, had a difficult time parting with. 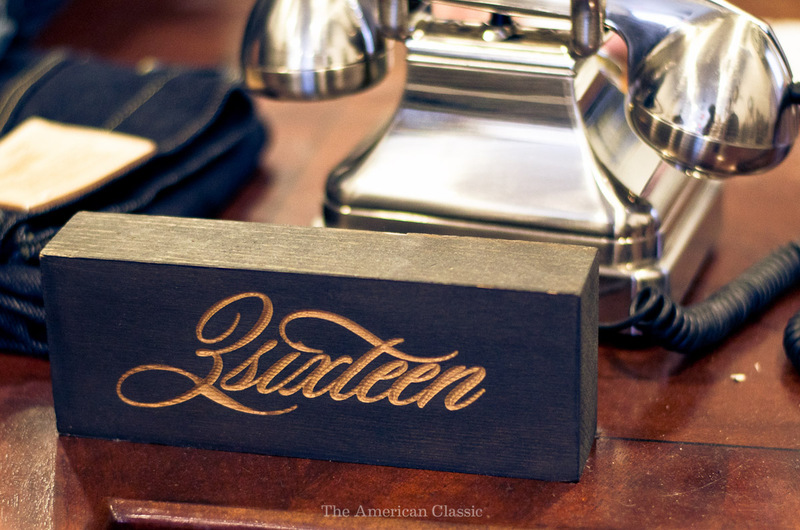 Huge selection from 3sixteen and Roy, amongst many others. 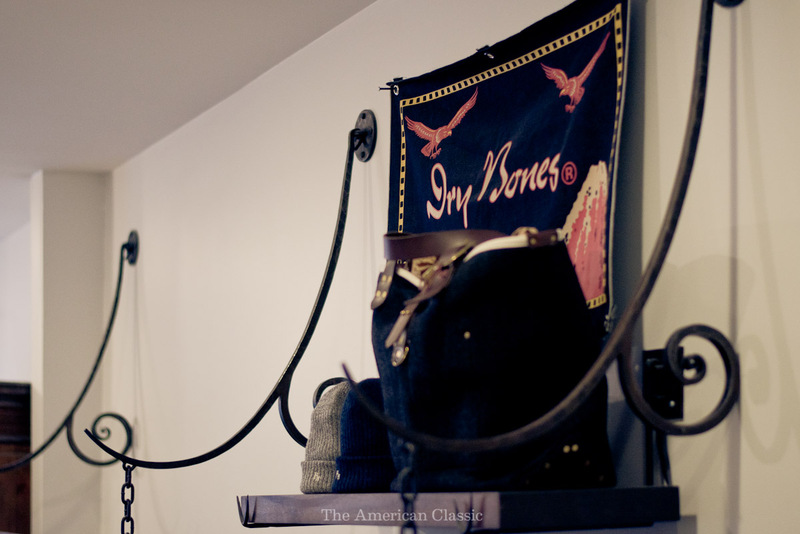 The custom iron fixtures totally put every other store décor package to shame. 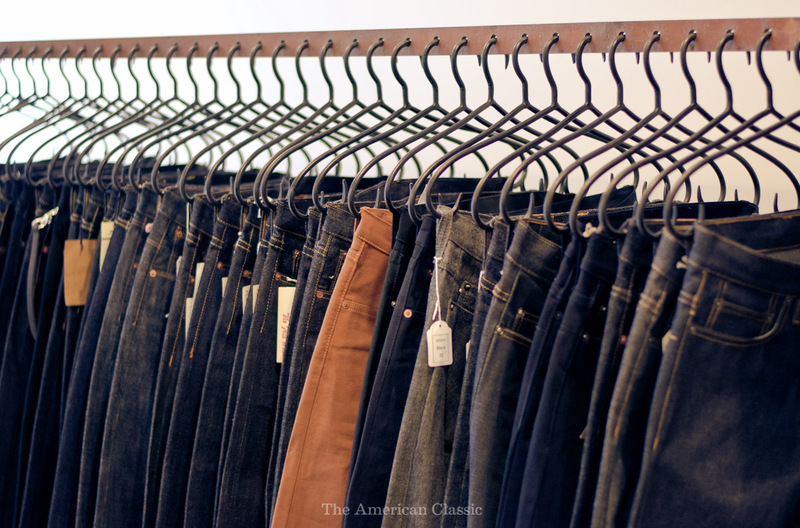 Check out the selvedge line on that fitting room curtain, floor to ceiling of course. 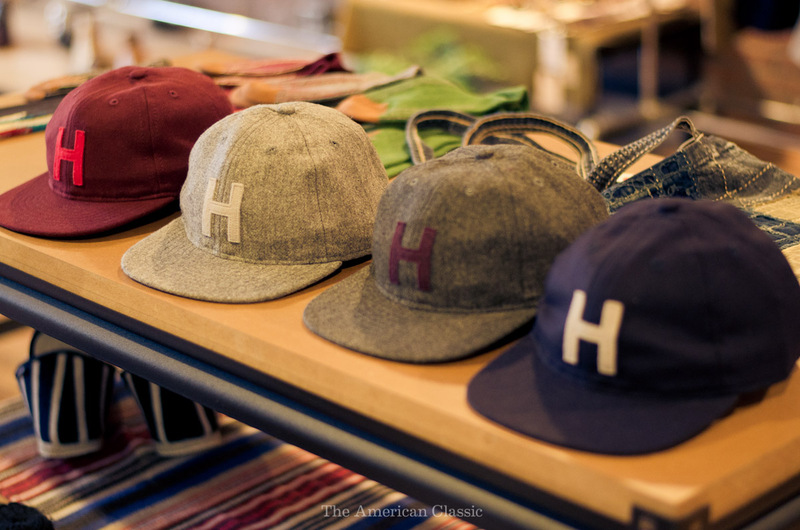 So after another cup of coffee from Handsome Coffee Roasters (courtesy of Andrew) and a few videos of Spanish bullfights (courtesy of Thomas), I was ready to make the trek over to Hickoree’s in Williamsburg, Brooklyn. The store was a bit difficult to find (being on the second floor), but once I got up there it was really spacious and well laid out. 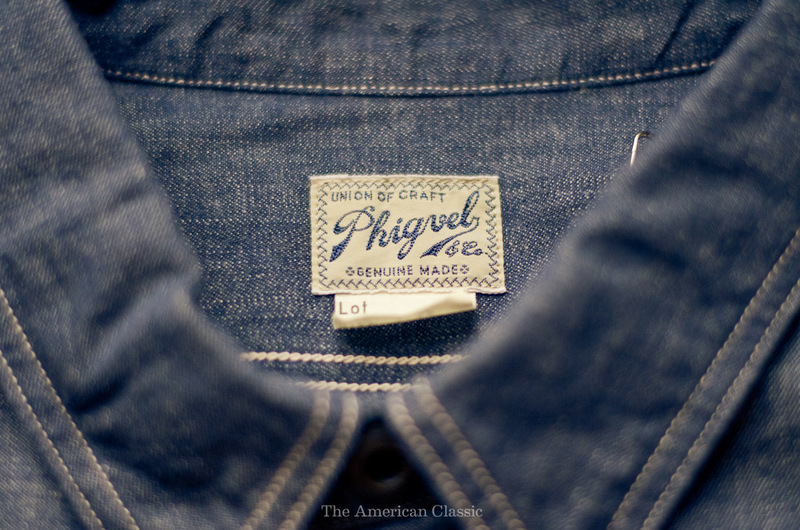 They carry a lot of pants & jeans from Phigvel, Tender Co., and Choctaw Ridge, as well as Levi’s Vintage. Lots of awesome boots from Wolverine and Thorogood as well. 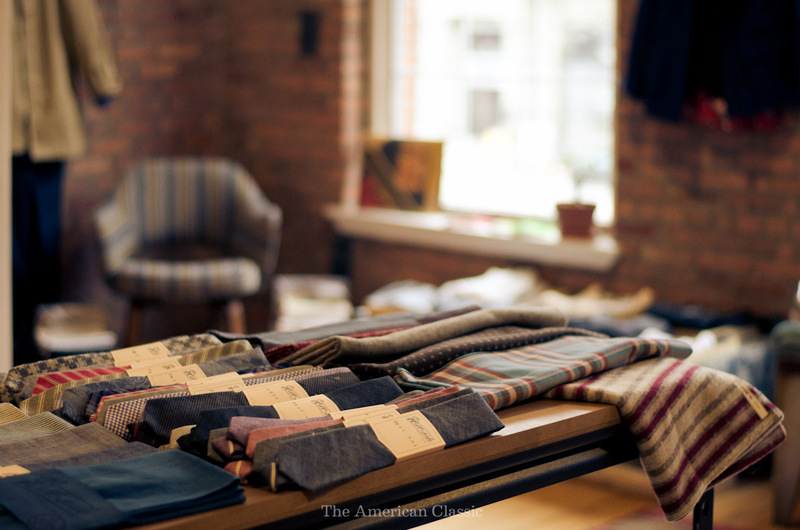 Of course, there was a huge selection of ties, pocket squares, and scarves from The Hill-Side that immediately caught my attention. 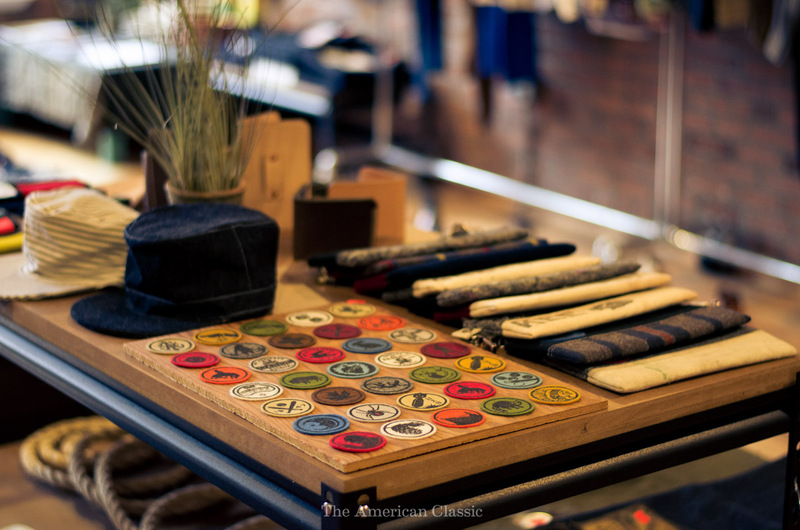 While I was figuring out how to move some money around to pair up a chambray pocket square with one of their new pointed ties (though don’t get me wrong, I love the square selvedge ends), I spoke with Will from The Hill-Side about some key holders they were packaging up. 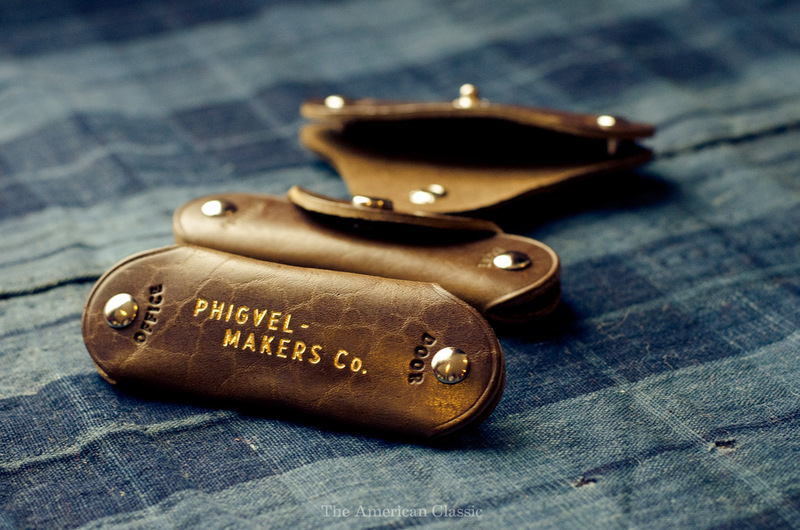 They’re made in Japan by Phigvel, and apparently since being recently featured in GQ were severely backordered. If I could pair my keys down to a select few, I would have put my name right at the bottom of that list. Embossed details for Home, Office, Door, and Ignition really seal the deal. 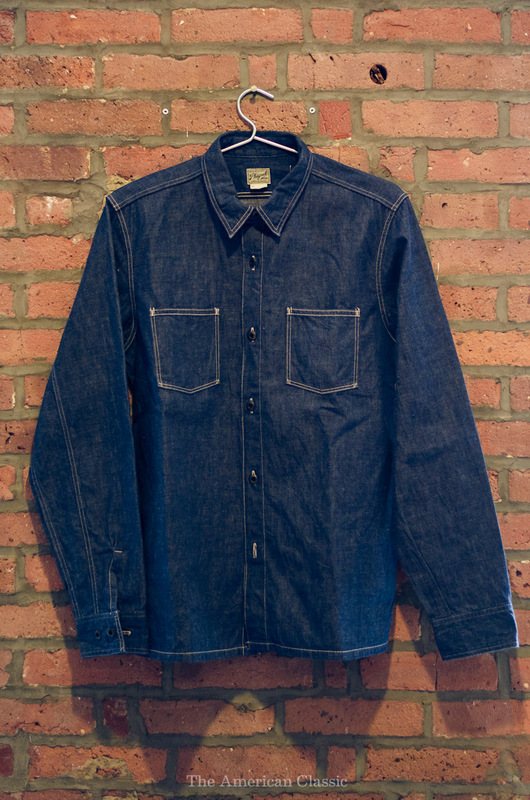 Phigvel also makes some incredible clothing, like this selvedge denim deck shirt. 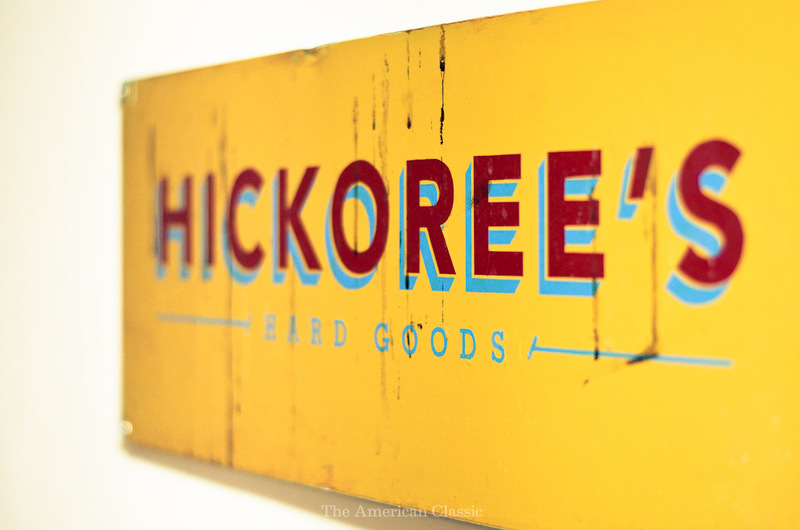 From what I understand, Hickoree’s is the only place outside of Japan that you can find this piece. 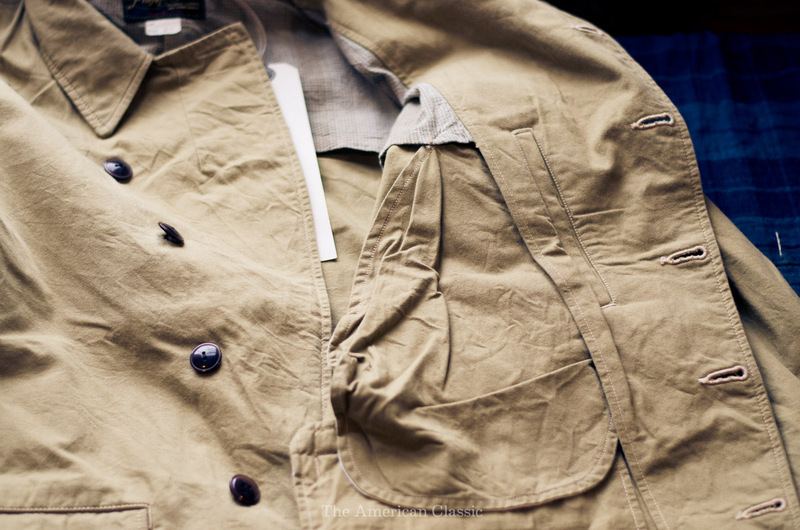 They make an awesome cyclist’s jacket as well. This thing fits like a glove with all the pockets in exactly the right spot. 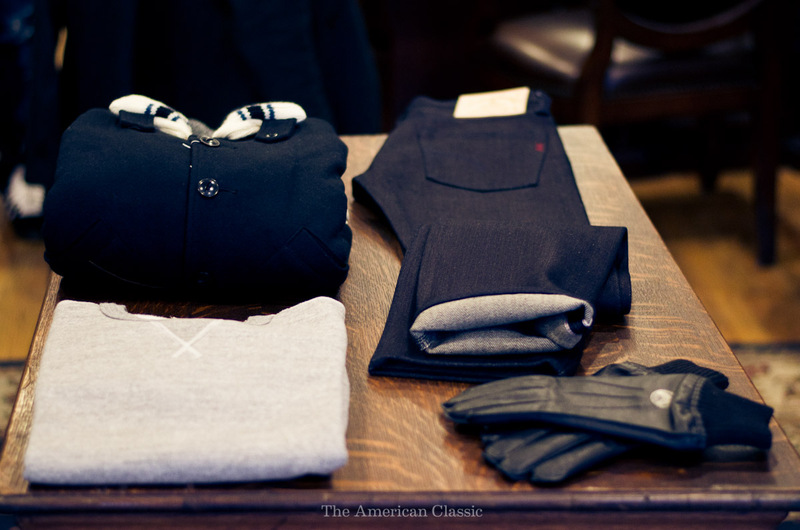 The Napoleon pocket was extra deep, and just the right angle to fit your hand into without looking like, well… Napoleon. I’m also a bit of a sucker for an asymmetrical button closure. I was glad to see a few hometown favorites from Art in the Age up there as well. Following this, I was trying to make it up to the Hella Bitters release event later that evening. Unfortunately, after a bit of socializing in Manhattan, the weather turned sour and we didn’t make it on time. From what I gather after following up on it, it was a hell of a party (as a cocktail bitters release party should be). I met some great people during the day, though. 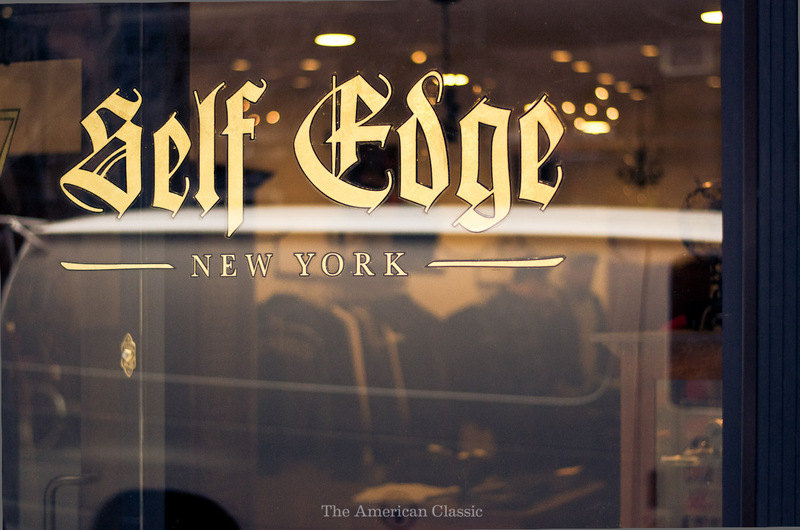 I’d like to thank Thomas and Andrew at Self Edge for hanging out (they’re some of the nicest people in Manhattan), and Will at Hickoree’s for letting me get in the way to take photos and even grabbing some Phigvel stuff out of storage for me to shoot. 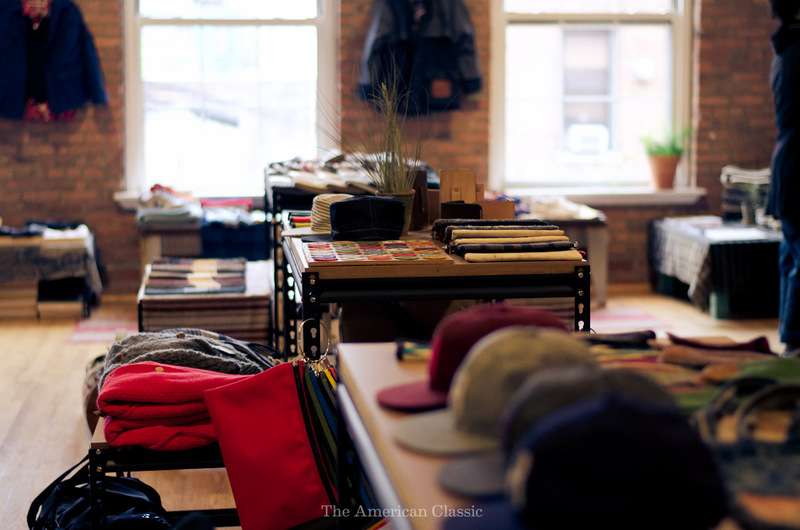 If you’re in New York, you should definitely stop by both of these places and say hi; tell them The American Classic sent you.